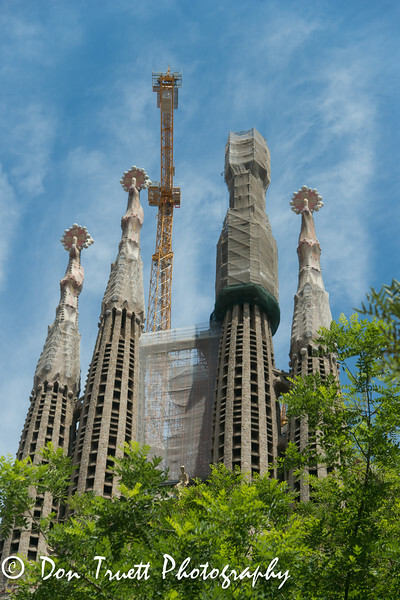 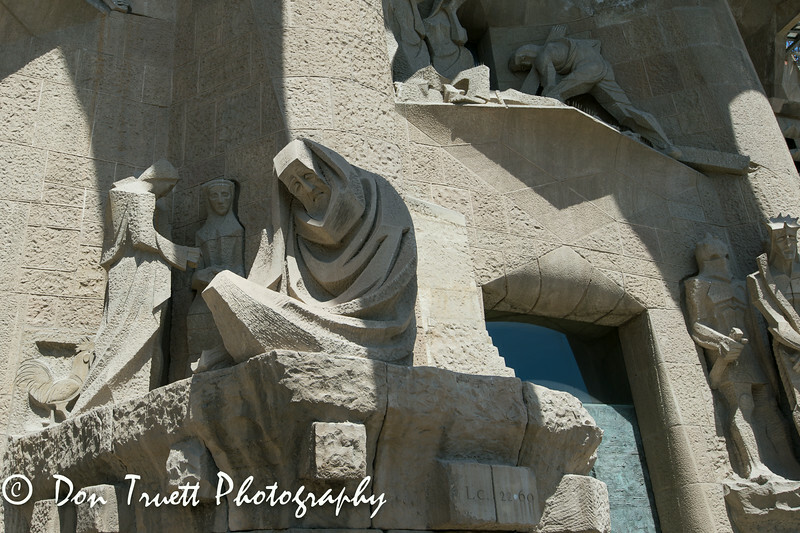 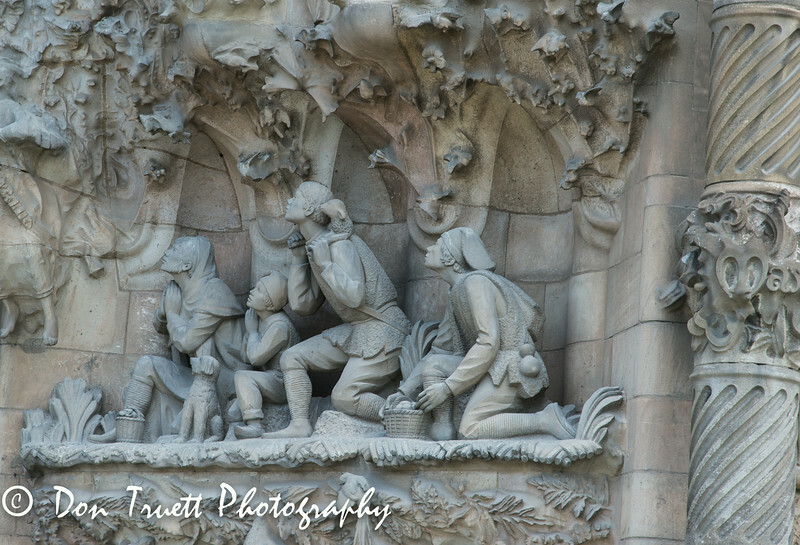 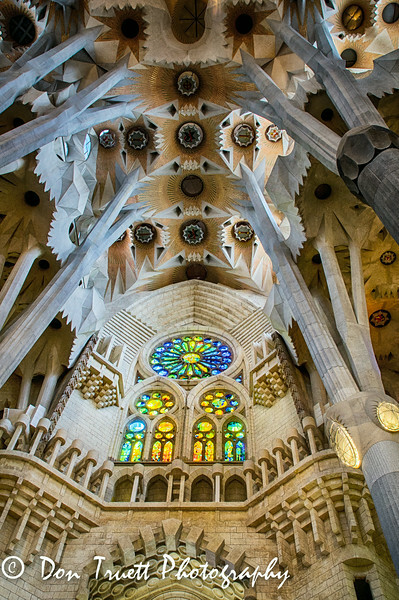 An absolute masterpiece by Antoni Gaudí, the Modernist architect (1852-1926) who designed and supervised the construction of this Catholic Cathedral. 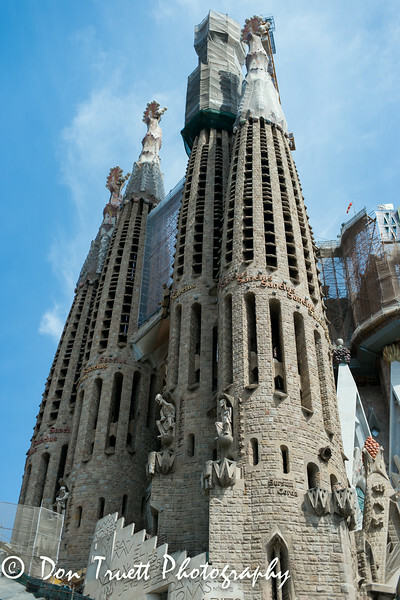 It was begun in 1882 and is still not complete. 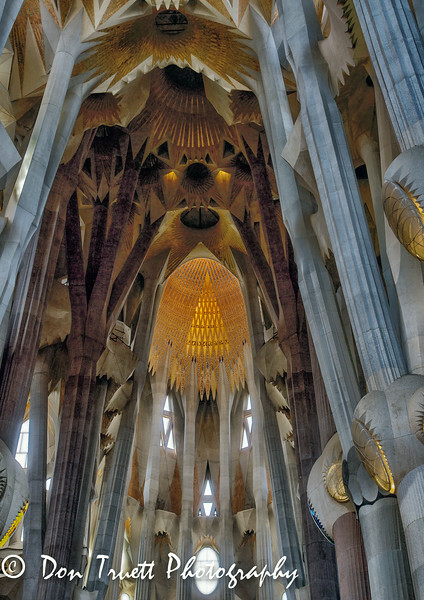 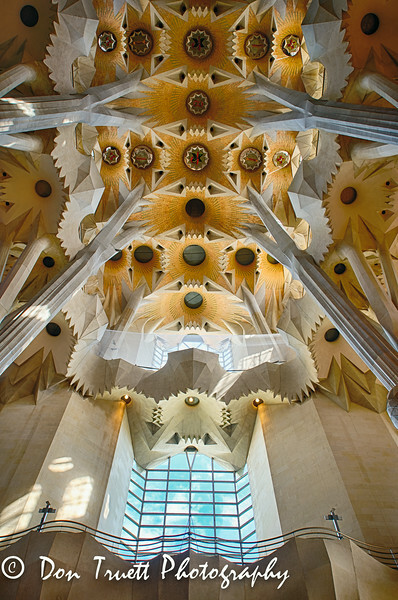 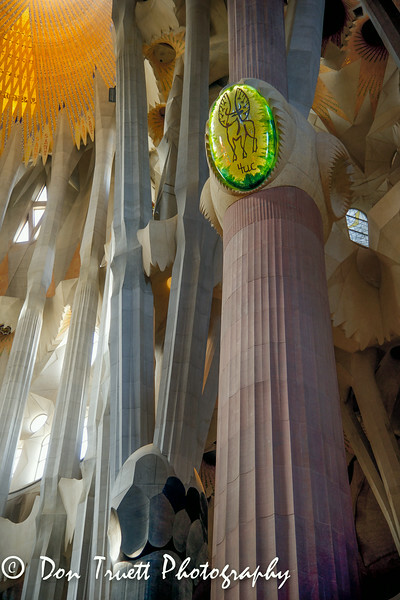 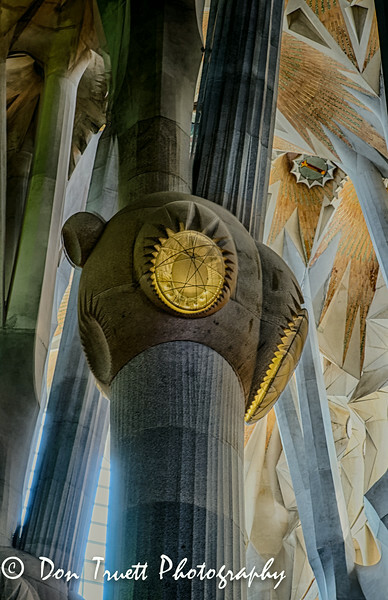 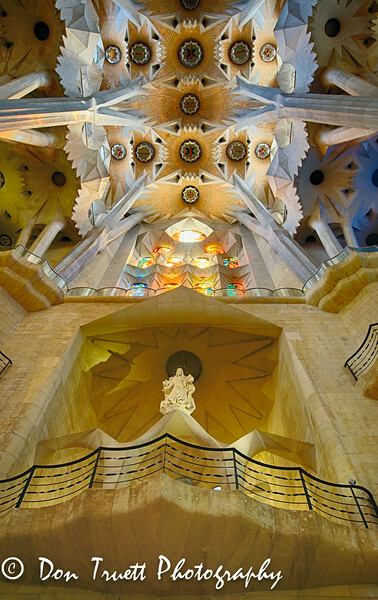 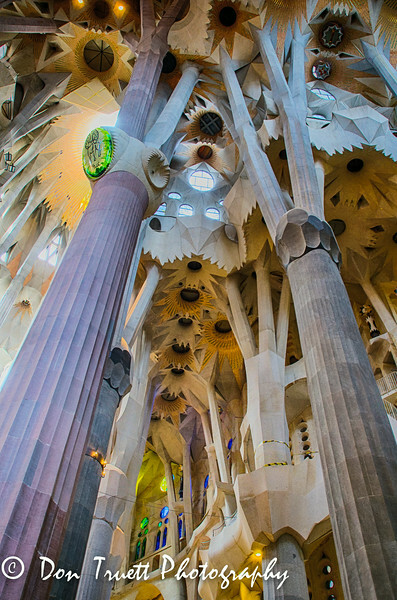 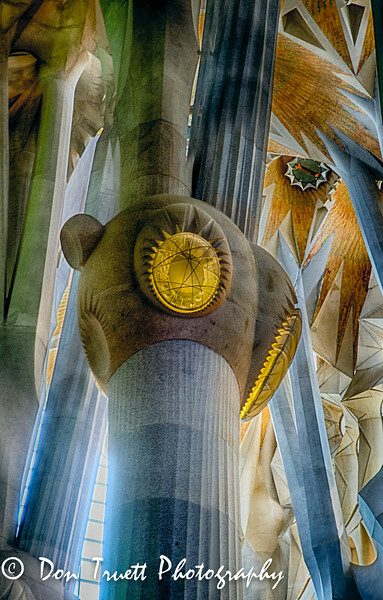 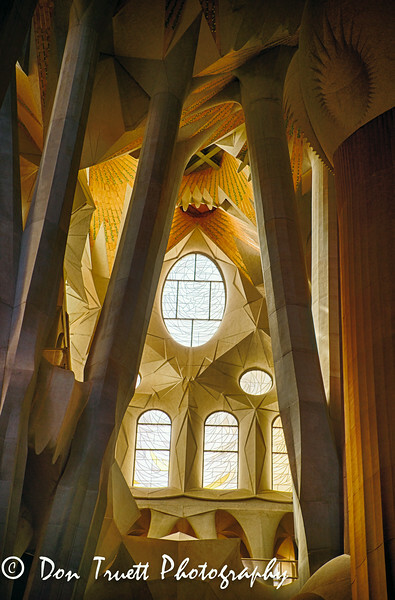 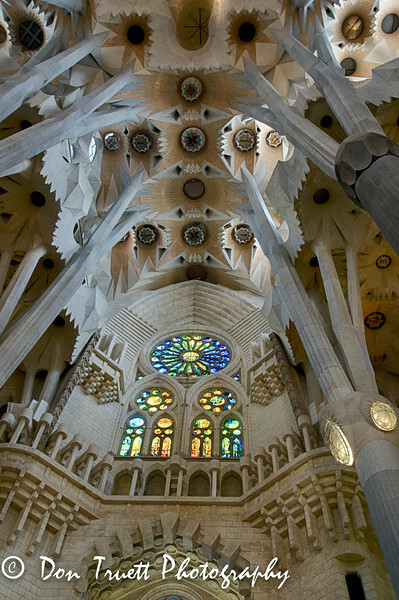 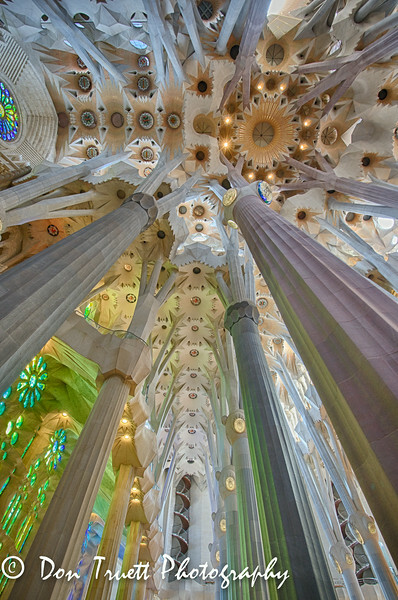 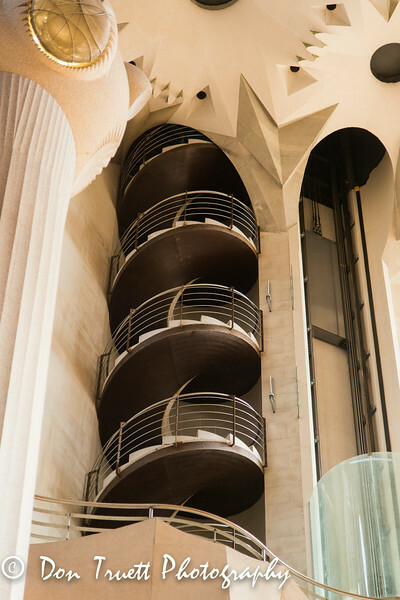 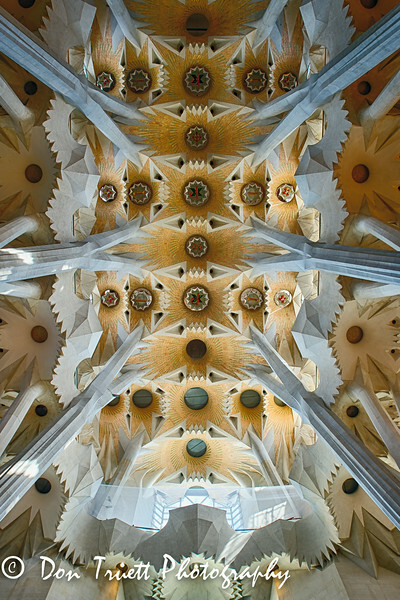 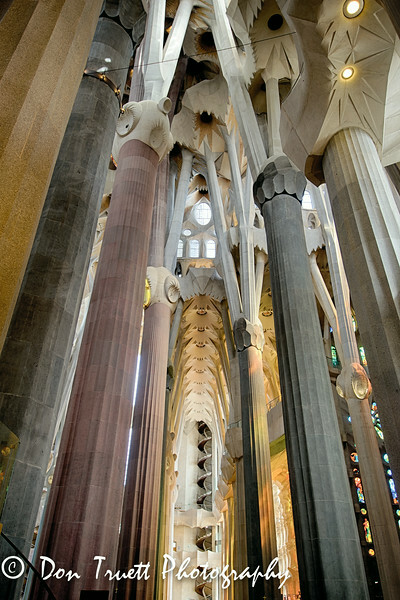 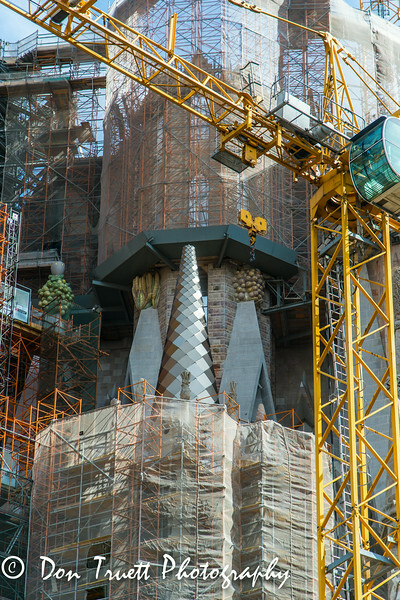 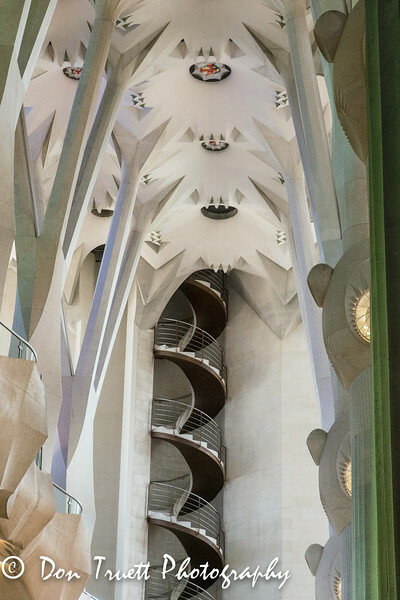 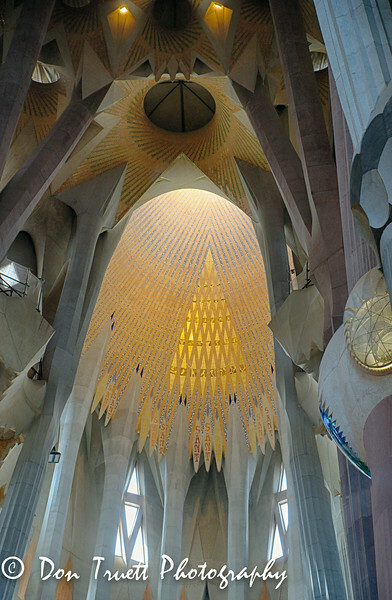 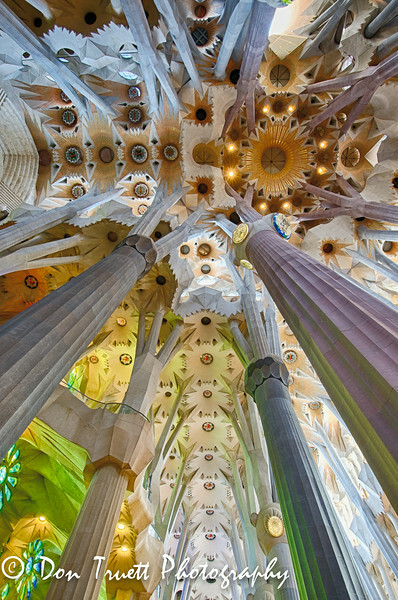 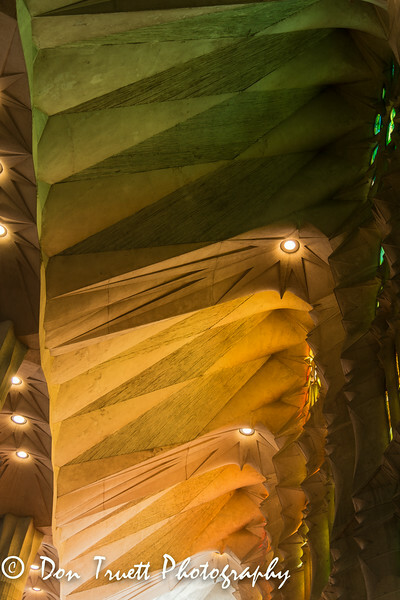 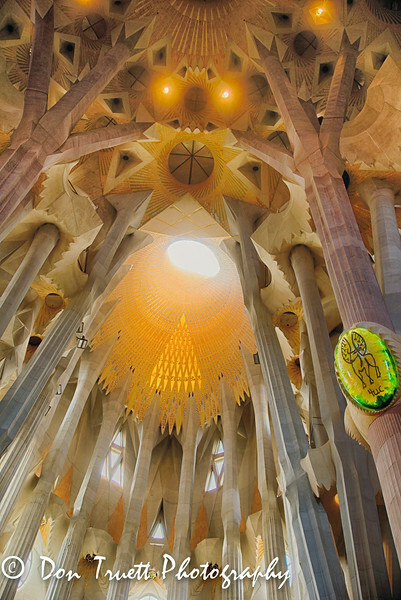 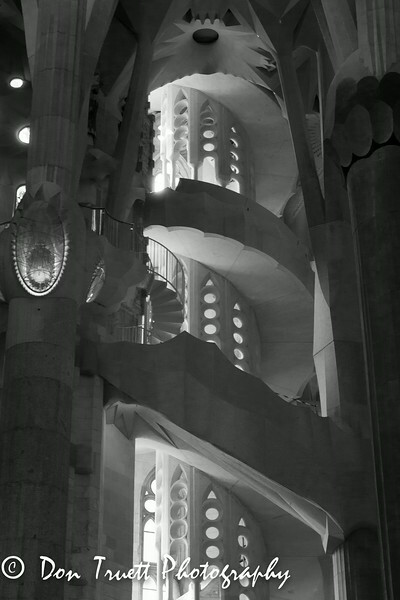 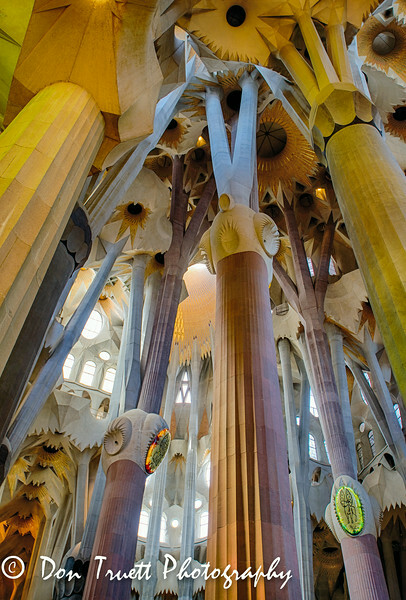 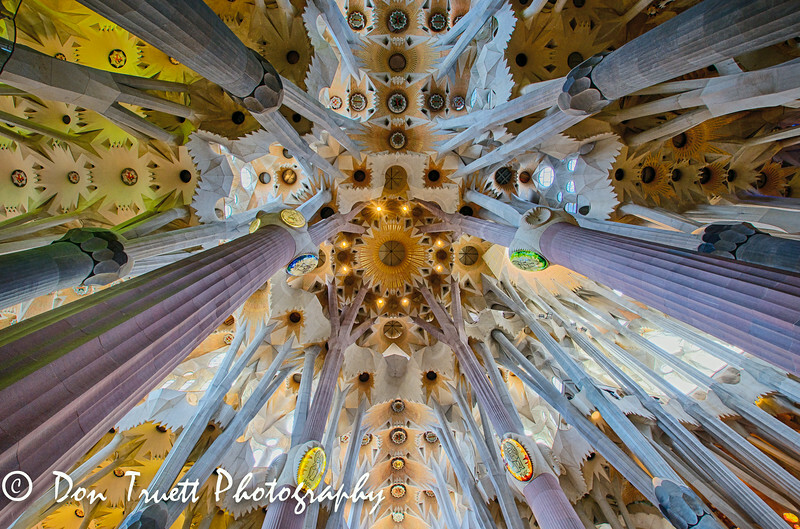 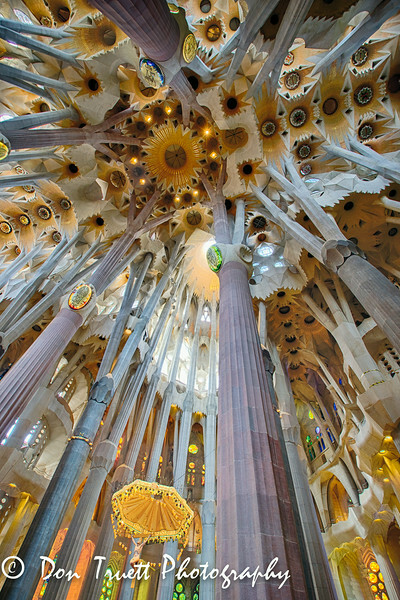 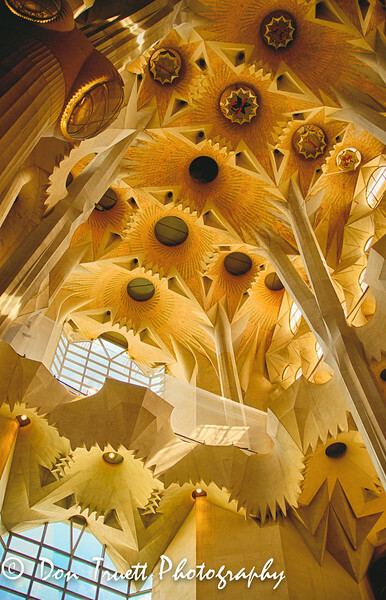 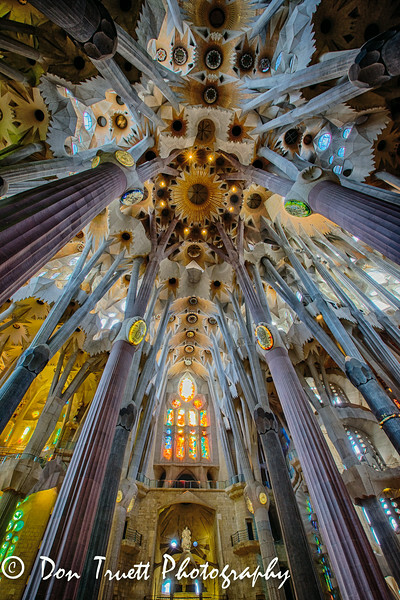 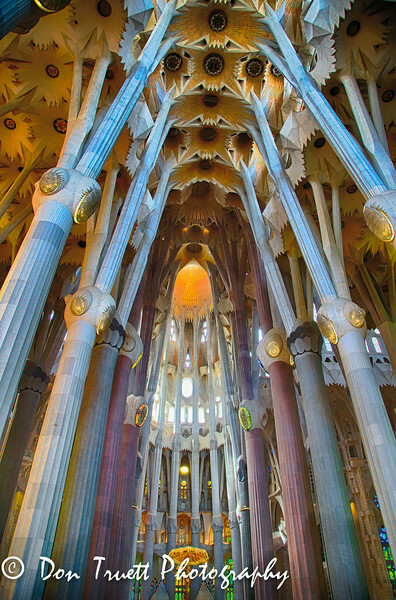 Gaudi's aim was to have the interior resemble a forest, with the columns as trees. 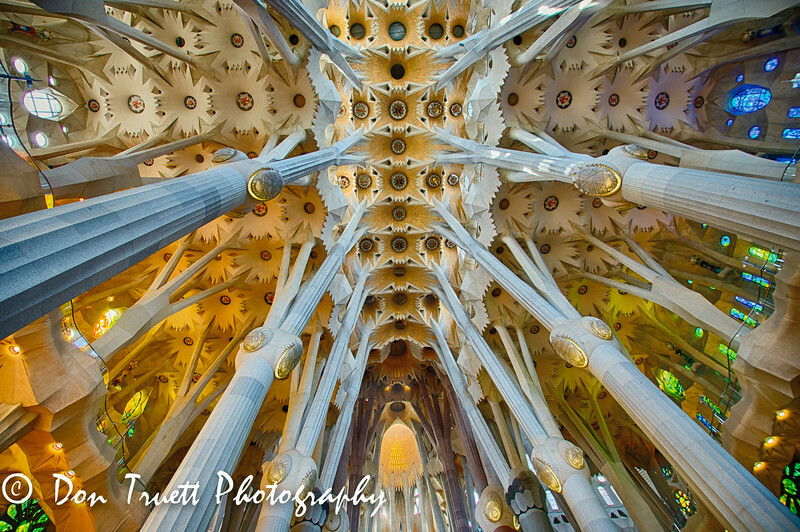 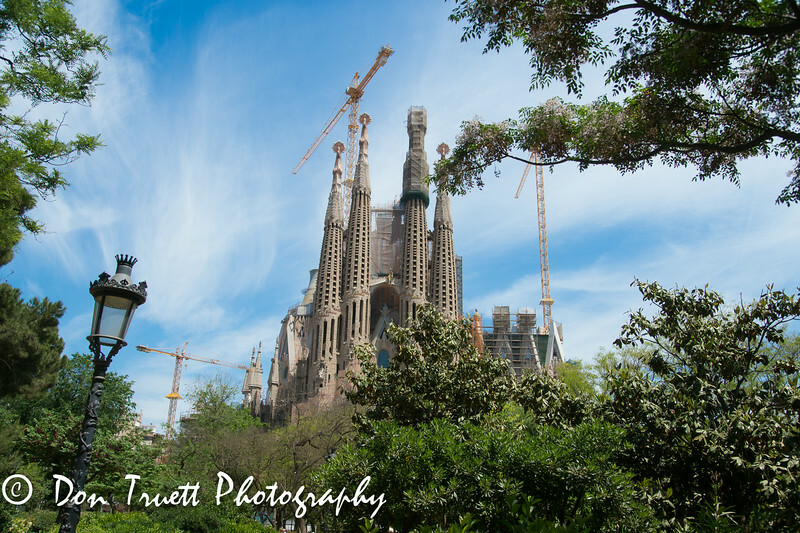 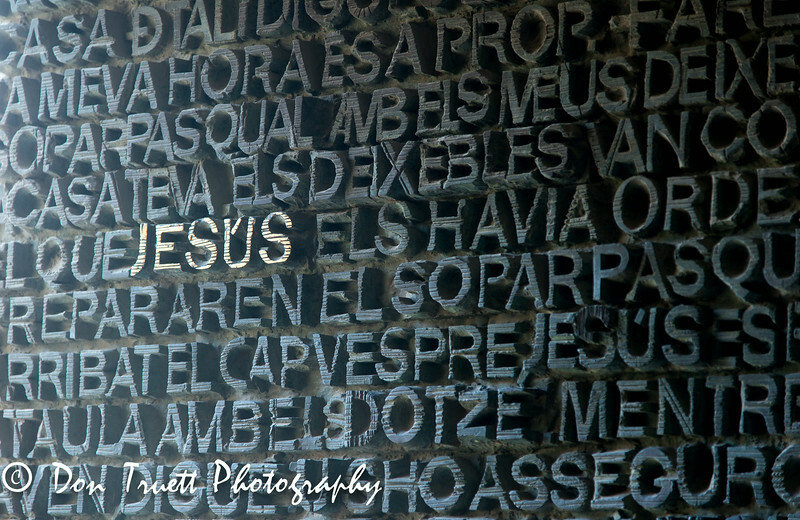 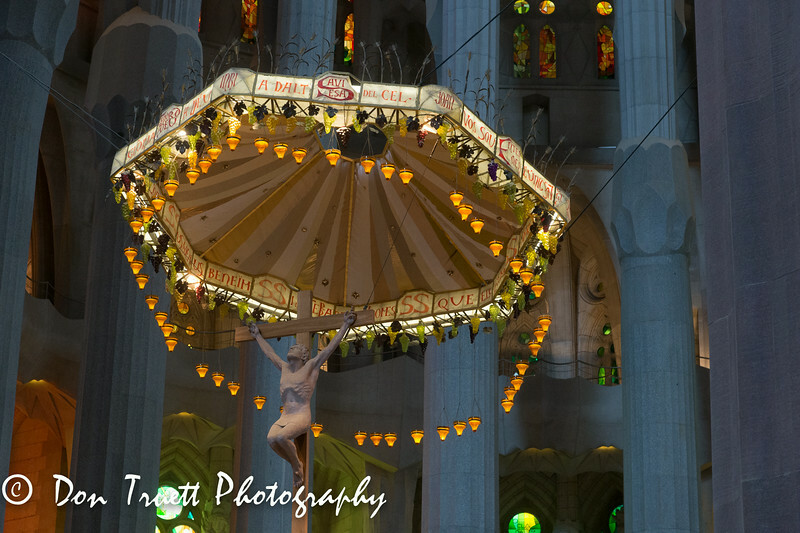 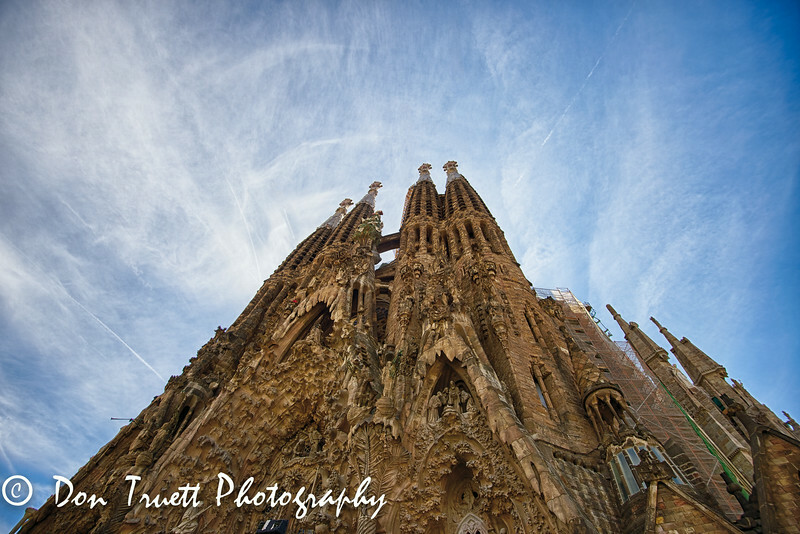 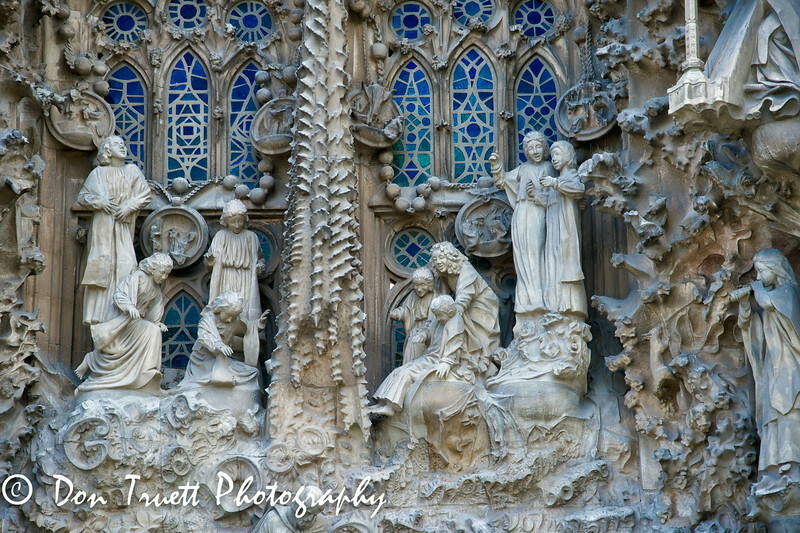 The most amazing structure I have ever seen or photographed.